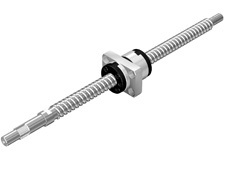 Lead screws and ball screws lie at the heart of screw-driven stages and actuators. 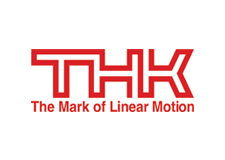 They convert input torque from rotary motors into linear motion. They feature a number of variables, including type of nut, screw diameter, screw pitch, material, etc. To achieve best results with these components, it is important to work closely with an application engineer. 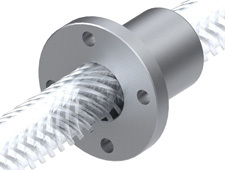 Lead screws use a sliding nut on a shaft with helical grooves. When the screw turns, the nut moves. Lead screws are widely used in applications ranging from medical and laboratory instrumentation to industrial applications such as packaging, food and beverage, and more. Lead screws are based on metal-to-metal contacts. That limits their efficiency to between 10% and 70%. In some cases, this can be beneficial. If the screw pitch is less than 0.125 inches per revolution, the lead screw becomes self locking. This means that even in a vertical application, it will not move unless it is powered by the motor. As a result, this subset of lead screws can be used without brakes. On the downside, the metal-to-metal contact between nut and screw introduces friction. This causes wear and limits responsiveness. Probably the biggest issue is that it generates heat. In extreme cases, the net can be brought to the point of melting. For this reason, lead screws are not suitable for speeds above 700 RPM or for 100% duty cycle applications. This can be a particular problem for accelerated lifetime testing; it is important to test to running conditions. Ball screws incorporate either caged or circulating ball elements to achieve linear motion. They operate at a minimum of 90% efficiency, have predictable life spans, and produce minimal heat, even during prolonged use. They are ideal for 100% duty cycle applications, and at high speeds. 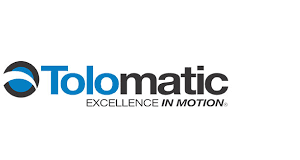 The trade-off for the high efficiency is that ball screw actuators are not self locking. If used in vertical applications, they require brakes. The circulating balls also generate a significant amount of audible noise. Ball-screw actuators can be preloaded to deliver exactly the responsiveness required by the application. 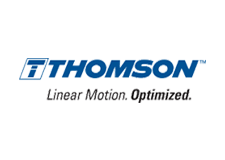 The Motion Solutions engineering staff has extensive experience in fine-tuning these systems. 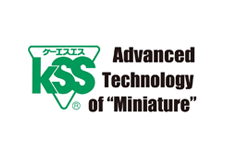 Various types of ball screws are available. Precision ball screws are ground to a high accuracy and are suitable for high-precision and high-speed applications. 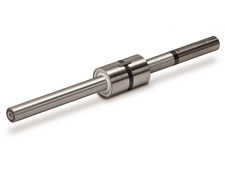 Precision caged ball screws emit less running noise and exhibit lower torque fluctuations. Compared to conventional balls, they have longer service lives and require less maintenance. Rolled ball screws are an economical alternative to ground ball screws that do not sacrifice efficiency or accuracy. Planetary roller screws are capable of handling very high thrust loads. Based on the same principle as a planetary gear, a roller screw consists of a central “sun” screw and a nut containing multiple “planet” screws that mesh with it. A typical nut might have 11 planetary screws, resulting in an enormous amount of surface area in contact with the central screw at any one time. Roller screws are around 80% efficient. They are typically used in applications requiring very high loads and/or extreme levels of reliability. On the downside, they have a large footprint and can be expensive.